1 of 2 cottages this beautiful spacious detached timber faced property is finished to an extremely high standard set in a peaceful private setting on a large working farm yet accessible to all local amenities. 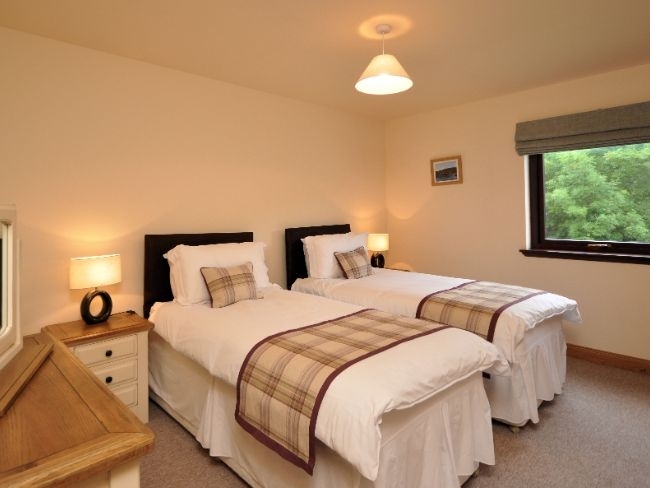 Located in the heart of Scotland with the cities of Dundee and Perth located only 11 and 13 miles away makes this a fantastic base to explore central Scotland. There are numerous attractions close by including Scone Palace Camperdown Wildlife Centre Dundee Science Centre Perth leisure pool REP theatre Perth concert hall many award winning golf courses (home of golf) and sandy beaches trout and salmon fishing on the river Tay and nearby lochs clay pigeon shooting and falconry Dundee Contemporary Arts Centre are to name just a few. Outside: mature gardens with private enclosed balcony BBQ and garden furniture. 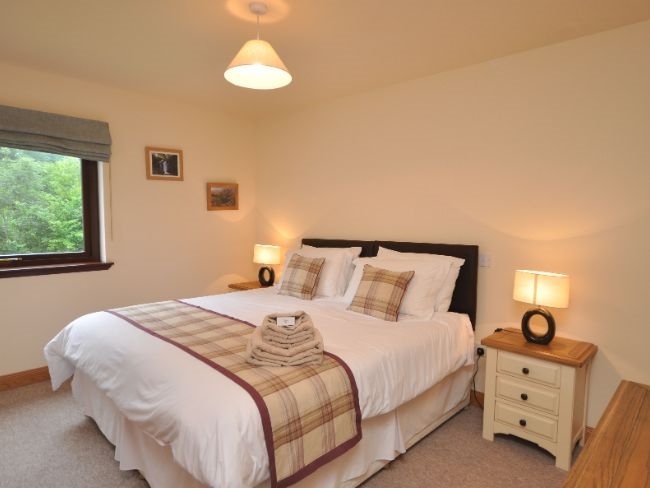 Amenities: ample parking towels bed linen electric central heating and wi-fi included. Regret no smoking. 2 dogs welcome additional dogs may be accepted by arrangement. 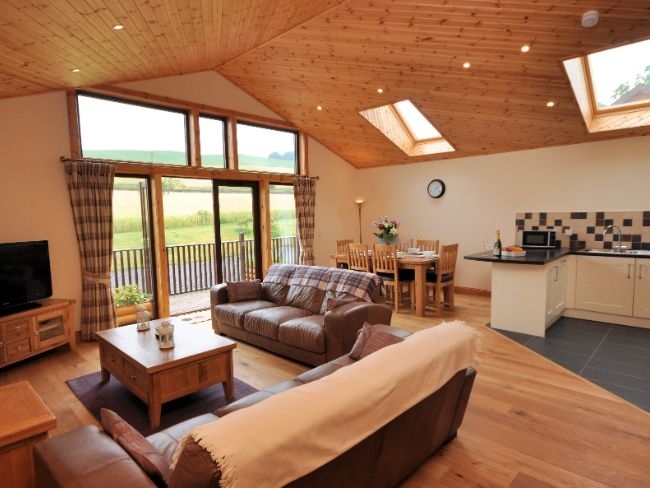 Additional info: in-house catering and canine retreat and grooming service can be arranged with the owners welcome kitchen/toiletries pack included. Location: Blue Flag beach 16 miles restaurant/antiques store within walking distance (10% discount available in licensed restaurant) pub/restaurant 1.5 miles (pick up and drop off service at request). Arrival: 4pm. This stunning single storey accommodation offers THREE large bedrooms all with wonderful views: 1 master king-size with flatscreen TV with bluray DVD and freesat with patio doors leading out to enclosed private balcony. 1 zip-and-link twin (that can be converted to a super king-size on request) 1 super king-size zip-and-link (that can be converted into a twin on request) with large en-suite shower and WC. 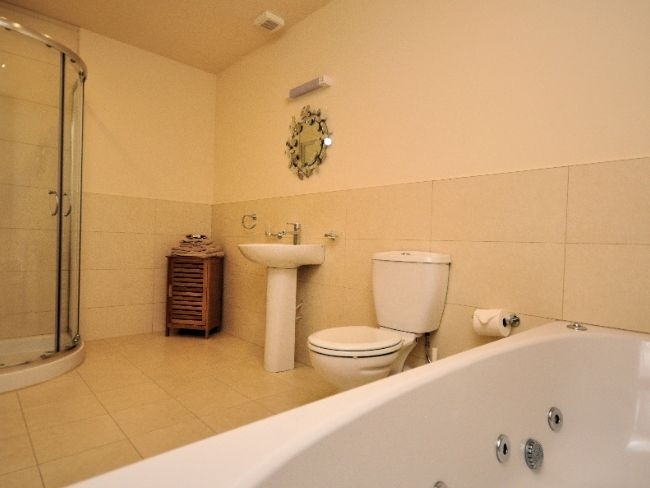 Bathroom: large with spa bath separate shower and WC. 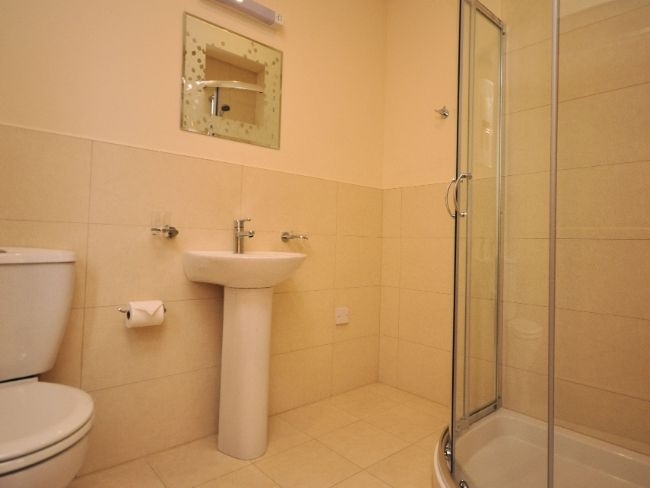 Shower room: large with WC. 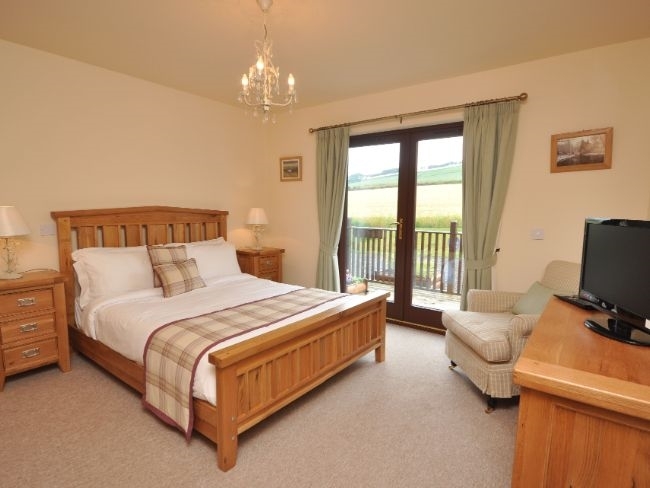 Lounge/kitchen/diner: spacious open-plan room with large flatscreen TV with DVD freesat Wi-Fi and iPod dock. 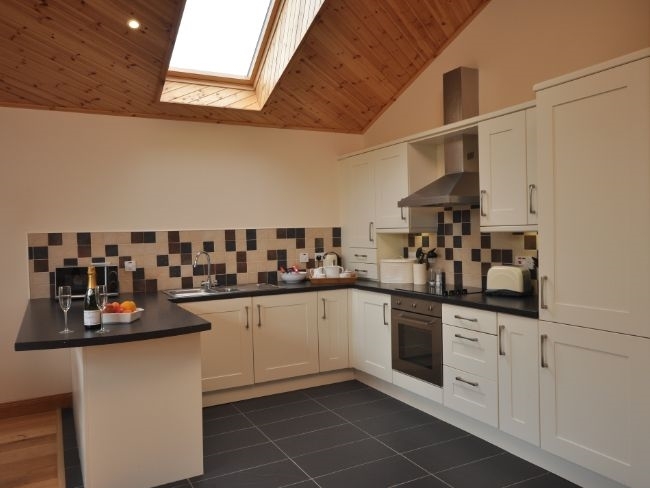 Kitchen area well-equipped modern area with electric oven with hob fridge/freezer dishwasher washing machine tumble dryer microwave and large dining table. Any property identified with increased accessibility may have different levels of provision it is therefore advisable that you contact us before you book to ensure the property meets your specific needs and requirements.